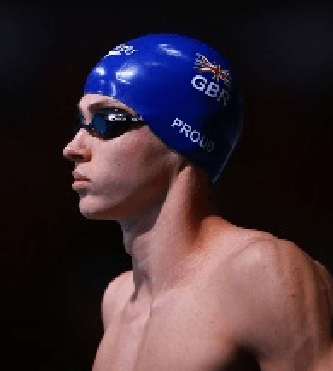 Ben Proud of the University of St. Mark and St. John stole the show on the final night of the British Universities and Colleges Sport Long Course Swimming Championships. Proud put up the world’s second fastest 50 butterfly winning the event in a time of 23.63. He took the event by almost a second with Adam Barrett of Loughborough finishing second in a time of 24.62. Proud now ranks second in the world behind Florent Manaudou who posted a 23.49 earlier this year. Rachael Kelly of Loughborough also recorded another top ten time. On Saturday Kelly posted a 58.25 in the 100 butterfly tying Inge Dekker for the second place spot in the world rankings and on Sunday she won the 50 butterfly in a time of 26.68, which ranks her ninth in the world. Aimee Willmott of East London took the women’s 200 butterfly in a time of 2:10.42 while Cameron Brodie of Stirling won the men’s event in a time of 1:57.93, three seconds ahead of the rest of the competition. Rebecca Turner of Sheff Hallam won the women’s 100 freestyle in a time of 56.14 while Jack Thorpe of Edinburgh won the men’s event in a time of 50.50. In what was one of the most exciting races of the evening Kathryn Johnstone of Herriot Watt and Corrie Scott of Edinburgh battled for the victory in the women’s 100 breaststroke. Scott turned four one-hundredths of a second ahead of Johnstone at the half way point, but it was Johnstone who had the better second half finishing in a time of 1:09.35. Scott finished second in a time of 1:09.64. Ross Murdoch of Stirling took the men’s event in a time of 1:01.22. In the prelims Adam Peaty, swimming as a guest,, posted a time of 1:00.01. Sophie Smith of Loughborough won the women’s 200 IM in a time of 2:15.25 while Iuean Lloyd of Cardiff Met took the men’s event in a time of 2:01.95. Natasha Hofton of Stirling won the women’s 100 backstroke in a time of 1:02.44 while Charlie Boldison of Hertfordshire took the men’s event in a time of 55.49. Loughborough took the women’s 4 x 100 medley relay in a time of 4:08.15 while Stirling won the men’s event in a time of 3:43.07. The Loughborough men’s team was disqualified in the final. Once again Loughborough finishes on top of the standings with 337 points. Bath finished second with 245 points while Edinburgh finished third with 211 points.